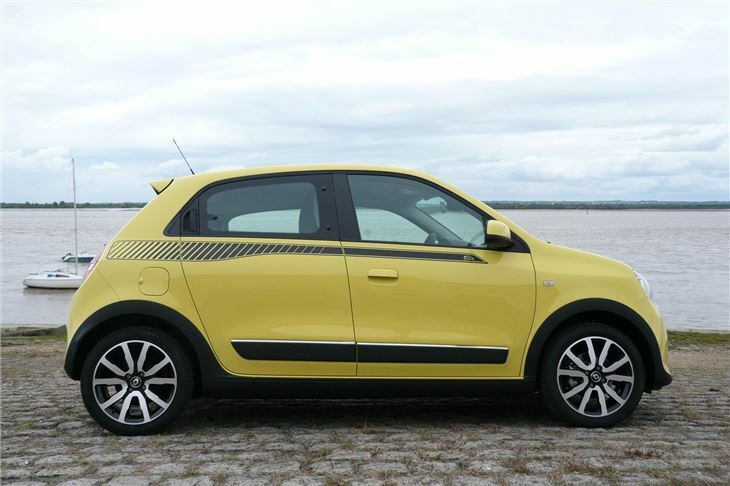 For our first drive in the new Renault Twingo TCe 90 we had a long wait. 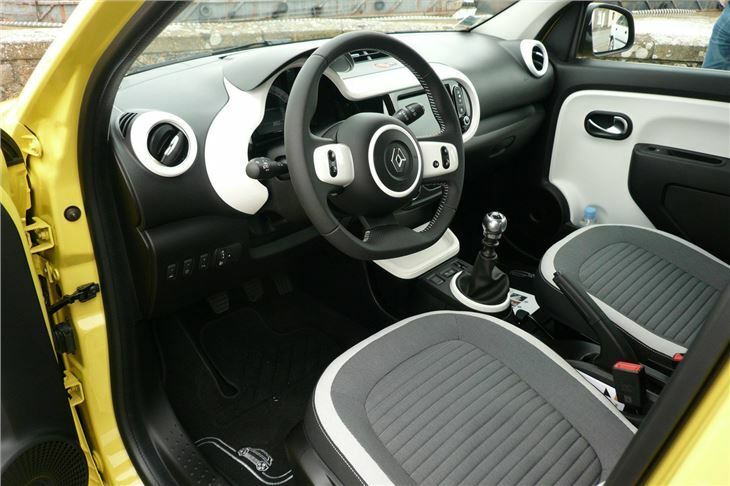 We’d been itching to get our hands on one ever since the Twingo stole the 2014 Geneva Motor Show in March. 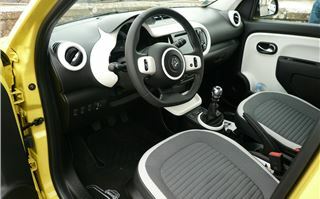 It re-thinks small car design. In particular, where to put the engine. Rear engines are nothing new, of course. Hitler’s ‘people’s car’ had one, as did the post-war Renault 4CV, Dauphine, R8 and R10, FIAT’s 500 and 600, and Hillman’s Imp. Even VW was considering reverting to a rear engine for the Up (which partly explains its shape), but pulled out due to the cost. 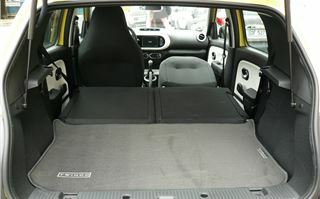 Renault, too, had been on the verge of shelving plans for a rear-engined Twingo, until it got together with Mercedes Benz on component sharing with the forthcoming new Smart ForTwo and ForFour. 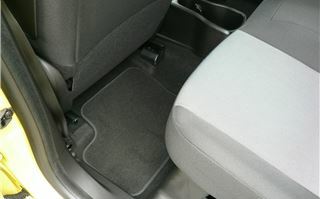 The short front contains the battery, washer and brake fluid reservoirs and a ‘crush zone’ in case of a front end smash. Theses are a bit fiddly to access because weight has been saved by making the bonnet little more than a plastic cover that unclips and pulls forward. 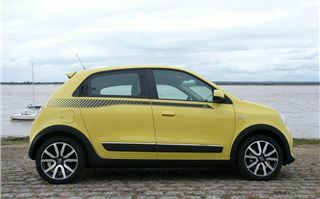 The 3-cylinder 899cc 90TCe engine is basically the same as found in other small Renaults and Dacias, but tipped over and given different mapping even though the power and torque outputs are nominally the same. 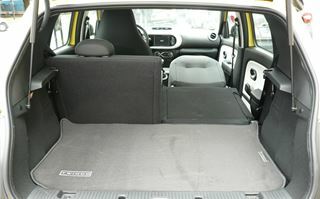 You don’t hear the familiar 3-cylinder thrum because the engine is behind you and very well insulated, and, with wider tyres on the rear than on the front, it feels no different from a front drive hatch. However, no engine between the front wheels and no driveshafts to worry about means they can turn to a 45 degree angle, giving the car a tiny 8.6 metre turning circle. That makes it spectacularly easy to park and to make ‘U’ turns where this would not normally be possible. And, with all the weight over the driven back wheels, it should be good in snow. It goes well enough without being puppydog eager like a FIAT 500 TwinAir or a Citroen C1 PureTech 82. It’s not as much fun to drive as we thought it would be. But it steers decently and rides well even on extra cost 16” wheels with lower profile tyres. The optional ‘R-Link’ satnav with 7” TomTom touch screen works brilliantly and accurately for £600, which also includes rear parking camera, Bluetooth and DAB radio. A first year of TomTom Traffic comes free with the system. You can personalise the car with various optional trim combinations of which red and black Sport Pack seemed to me to work best. And you can opt for extra storage bins in the doors and several different types of glovebox, one of which is actually a removable box. 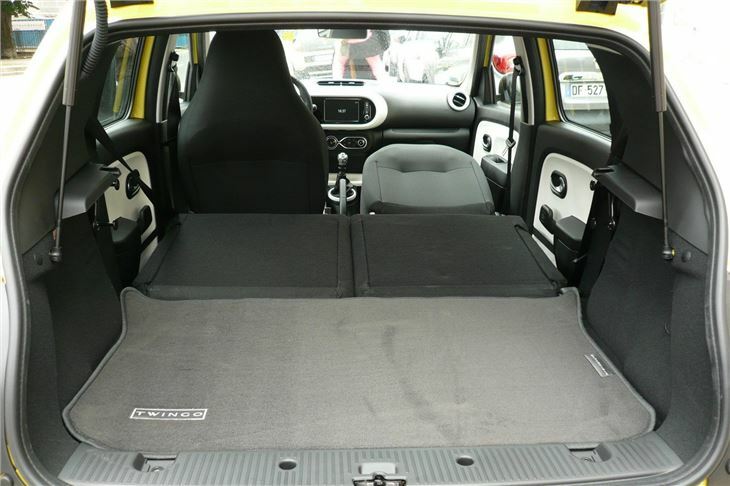 Another day, another Twingo, and the 1.0SCe 70 came with a very nice full length canvas electric sunroof (£850) and Renault’s ‘R & Go’ smartphone cradle. That uses a clever satnav app for your phone that covers areas where the signal is temporarily lost and can double up as a rev-counter. Unlike the C1/108/Aygo system it does not give you a bigger 7” screen for your smartphone, so the mapping is a bit small. The SCe 70 has the 999cc Smart engine with no turbo, and is lower geared than the 899cc TCe 90, so it feels quite sprightly about town. Many of us actually preferred it, but, of course, on the motorway you’ll be travelling a couple of mph less for every 1,000rpm and you might find that more tiring. There is no automatic, but a proper dual shaft, dual clutch EDC transmission will be available in about a year. And there’s no spare wheel, nor anywhere to stow one. The Twingo is up against the Up, Mii, Citigo, C1, 108, Aygo, 500 Panda and MINI. The MINI is dearer. Spec for spec, a 500 is dearer too, and only comes with 3 doors. 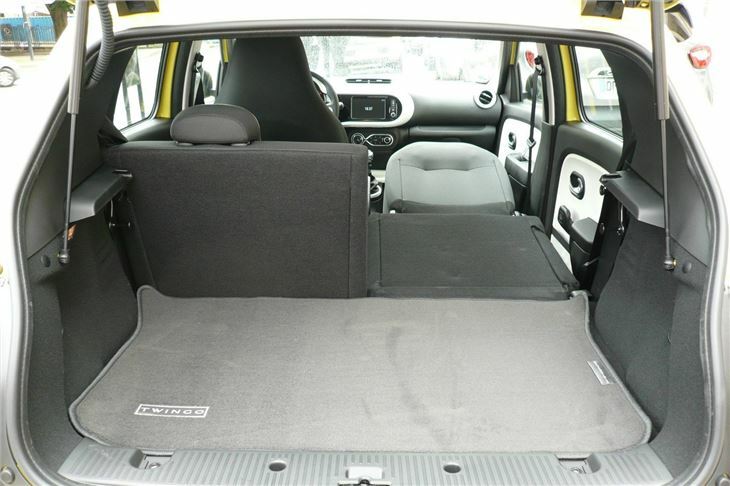 The Twingo offers more space and practicality in a car just an inch longer than 5-door versions of the Up, Mii, Citigo, C1, 108 and Aygo , and it’s easier to park than any of them. So, over to you. 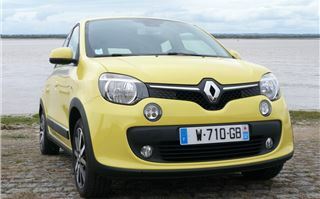 All these cars are contenders, but the Twingo is the only one with its engine pushing you rather than pulling you along. You can personalise it to your heart’s content.